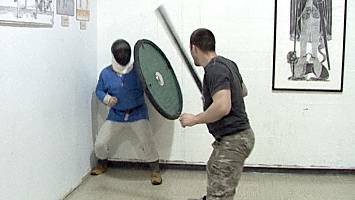 Whether you are a beginner, or an experienced fighter, this video can help you grow to become a stronger Viking fighter. 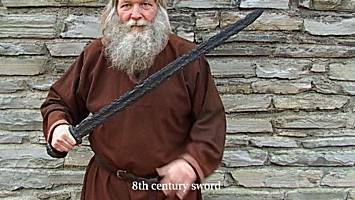 This DVD introduces you to Viking history, culture, and weapons, and shows why weapons were such an important part of their society. 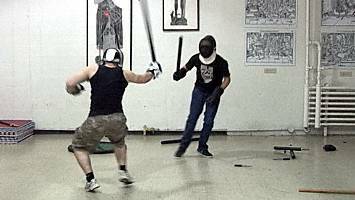 Then you move to the practice room to learn the fundamentals of Viking combat, such as stance and movement. 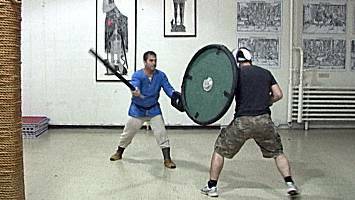 You will learn how to cut with power and how to defend yourself with a Viking shield. 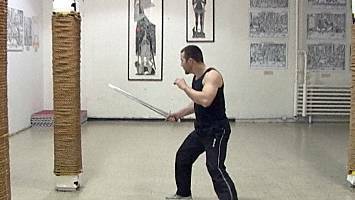 You will see the drills, exercises, and training gear we use to practice these skills. 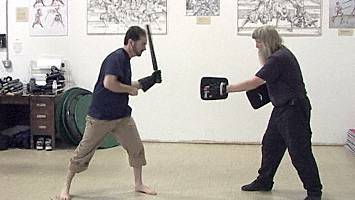 You will finish with sparring, a true test of how well these fighting moves work. 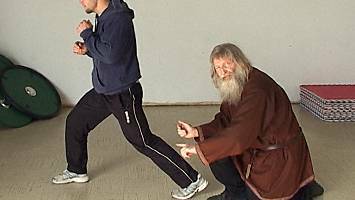 Join us in our practice of Viking-age fighting moves. 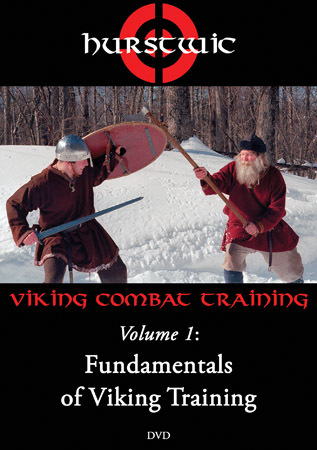 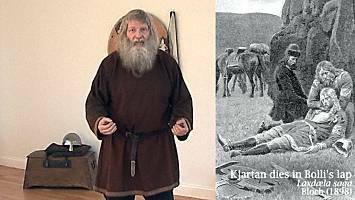 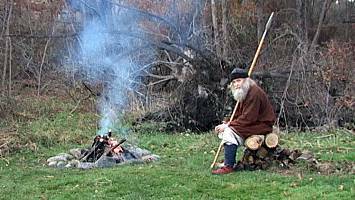 Use the material on this DVD to grow as a Viking fighter. 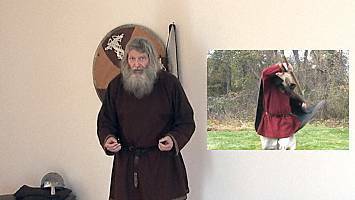 The DVD is now available and may be ordered directly from Hurstwic, LLC, from Amazon, and from other vendors.